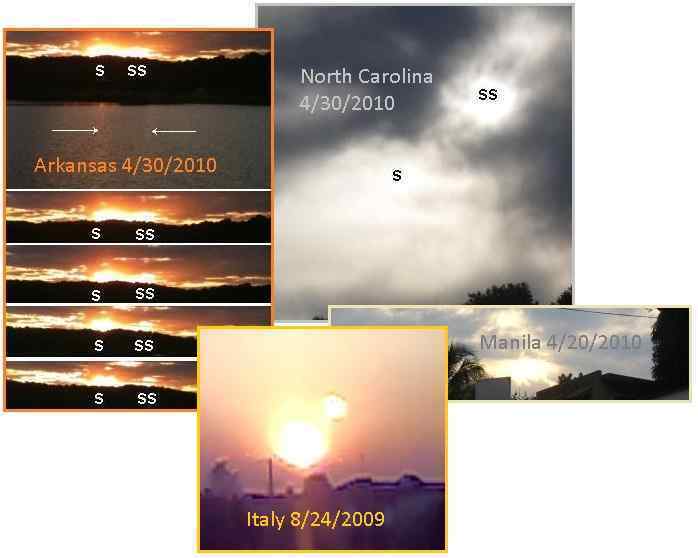 Preparing the public for the pending announcement admitting the near presence and reality of Nibiru (in the inner solar system since its arrival in 2003) and for greater disclosure on the alien presence has been a steady trend over the past couple years. The Pole Shift ning has a running blog on the matter, focusing on pre-announcement trends. This has included reviving the discussion on a rogue planet, called Nemesis or Nibiru or Planet X. Where at the start of the ZetaTalk saga talk of wandering or rogue planets, ranging afar from their suns, was ridiculed and denied, NASA et al gradually began admitting their discovery. For over a century scientists have debated that yet more major planets and dwarf planets belonging to our solar system are still out there in space waiting to be found and existing anomalies to be explained. Though Nibiru travels along an elliptical shaped orbit and enters our solar system approximately every 3600 years, one by one crossing the orbits of our solar system planets, it does not revolve around our sun. In 1990 researcher-author Zecharia Sitchin interviewed the supervising astronomer of the US Naval Observatory Robert S. Harrington to discuss Harrington’s recent discovery of the red Planet X. Harrington set up a special telescopic observatory in New Zealand to track Planet X. But the renowned head of the Naval Observatory suddenly died mysteriously at age 50 of a rare form of cancer under suspicious circumstances. His wife is convinced he was murdered for allegedly leaking too much information about Planet X. The pre-announcement push got a shove on October 23, 2015 when both the Mirror and Daily Mail publications in the UK featured a Nibiru Moon Swirl video, both freely using the words Planet X and Nibiru. The video was well done, moving around to expose any lens flares (which are not stationary but move with the cam) and clarifying where the Moon was that night by including it in the video. The witness was credible and the bright orb above the Sun was witnessed by two individuals. Where everyone seemed to be scratching their heads, the Zetas explained. What is this Strange Fiery Globe Spotted off the Coast of Florida? A video has emerged that shows what some people believe is the mysterious 'Planet X'. Conspiracy theorists claim Planet X, also known as Nibiru, orbits at the edge of our solar system. They say its gravitational pull could spell the end for humanity by disrupting the flow of energy on Earth. Nasa has dismissed these claims as an 'internet hoax' and says 'there is no factual basis for claims' given astronomers are yet to spot the so-called planet. The video seems to show a bright circular shape poking out above the sunset, sparking rumours that it may be the mythical planet. Mystery 'Orb' Spotted above the Sun - but what on Earth is it? Melissa Huffman captured the footage at the Sanibel causeway in Florida. Melissa claims she was with a friend at the time, who also saw the mystery orb. Theories about strange light have ranged from the Nibiru cataclysm to a burning red dwarf star. 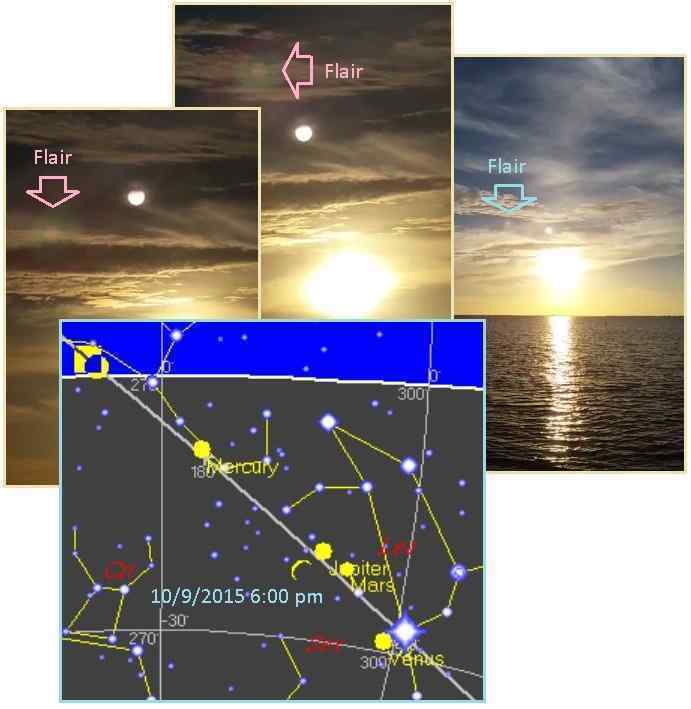 ZetaTalk Clarification 10/31/2015: The key to sorting out the dual orbs in this genuine video and visual sighting by witnesses is the reflection on the water. The large dominant Sun can be seen below the cloud bank at sunset, casting an unmistakable reflection on the water. The brilliant orb at 11 o’clock to the Sun is a Moon Swirl, very much of record during captures of the Planet X, aka Nibiru complex. Moon Swirls are particular to Nibiru, which has more than a two dozen moons trailing behind it. The moons can never begin the circular orbit of moons known to man, due to Nibiru’s speed during its travels. They are perpetually caught in a dance among themselves, forming long tubes that funnel light bouncing down their length, thus the brilliant light emerging from the end. 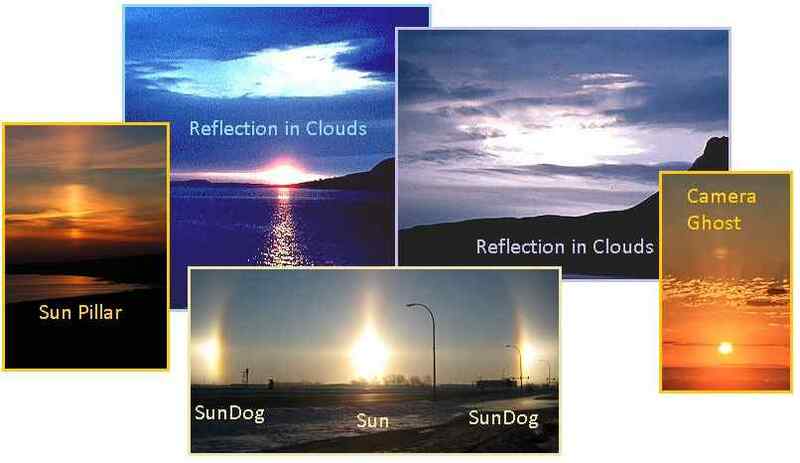 While those in denial that Nibiru has returned will claim the orb is a Sun pillar, or a sundog caused by ice crystals in the air, or a reflection of the Sun in the clouds, all these claims fail upon analysis. Nor is this a lens flare as the video photographer moves the cam around, a technique which identifies the flare as it moves during this motion. Nor is it a camera ghost, a reflection of the Sun in the camera lens, as a ghost is the same size as the Sun. Nor is the orb one of the known planets such as Mercury or Venus, which are currently below, not above the Sun. 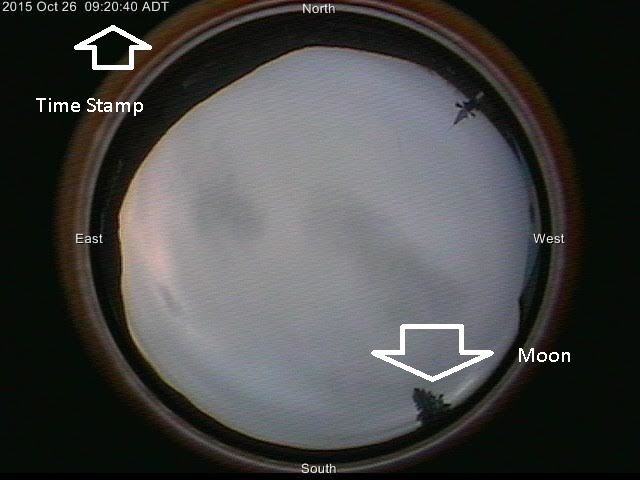 Nor as the video photographer demonstrated, is it the Moon which was on the opposite side of the Sky. What is unique about this rather ordinary capture of a brilliant Moon Swirl is that it hit the press. Equally compelling examples have been presented in Nancy’s newsletters over the years. The result has been for ZetaTalk and Nancy’s newsletters to be ignored or ridiculed, even to the extent of having NASA instruct the public not to pay any attention to Nancy Lieder. What has changed, and why did the Mirror article take pains to mention “Nibiru Cataclysm” as one theoretical explanation? This phrase directly relates to the top Google search article on Nibiru, a wiki article, wherein Nancy Lieder is pronounced the originator in 1995. What changed? The announcement is at hand! Where Moon Swirls are most often identified by the brilliant light emerging from the tube end, when the tube is pointed directly at the Earth, they are also seen as long tubes when viewed from the side. This has, in fact, even been captured by the SOHO camera, though most often any Nibiru components are air brushed out of the SOHO images provided to the public. The Earth’s Moon was of course affected by the arrival of Planet X, aka Nibiru into the inner solar system in 2003. Observations included an extreme tilt, beyond the 5° offset from the Ecliptic anticipated, which caused the face of the Man on the Moon to appear torqued by up to 90°. By March 29, 2005 these changes were well documented. The Zetas explained. ZetaTalk Explanation 3/11/2005: The Moon, as a bead on the edge of the hat rim traveling around the hat, is seen in the extreme North during one part of the month, and at the extreme South two weeks later. Why? A turmoil, mostly present at the Ecliptic, which the Moon normally rides. The easy out for the Moon is to avoid the crowded lane, which it does by being too high, and then too low, for the majority of its orbit. This documentation has continued on a Pole Shift ning blog. 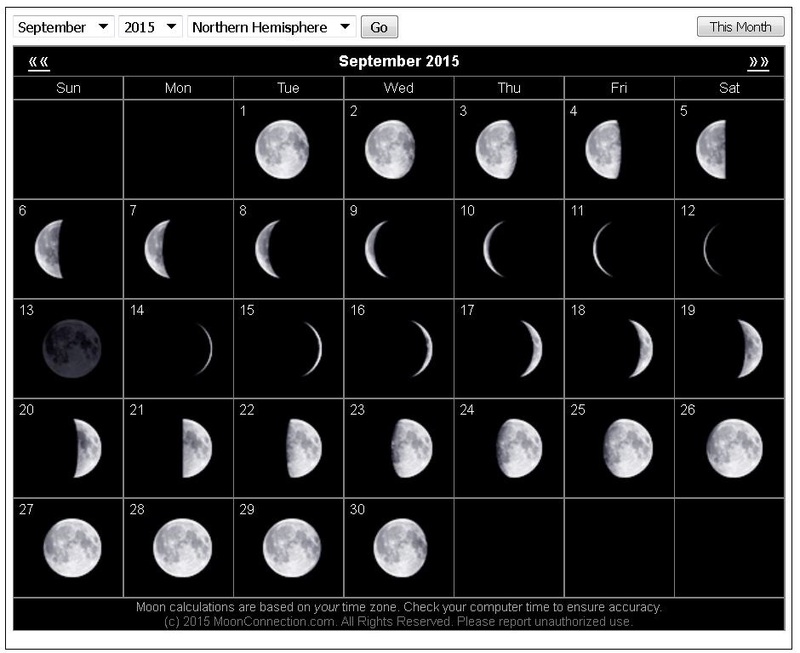 The tilted Moon is still with us in 2015, nowhere near normal when compared to the anticipated appearance on Moon charts. It is very torqued, still at 90°, as documented in Idaho on September 30, 2015. The Sea of Crisis is not where expected. The viewer will notice that at the 4:30 position is the Crater called the Sea of Crisis, it is the half circle on the edge of the picture. Its normal location is around the 1:30 position. This is showing a 90 degree variance which should be a 45 degree tilt in rotation now as the Earth flips from side to side. I took this picture on the morning of Sept 30, 2015 in S.E. Idaho around 6 am. And when combined with the Earth wobble, the Moon is now running late! 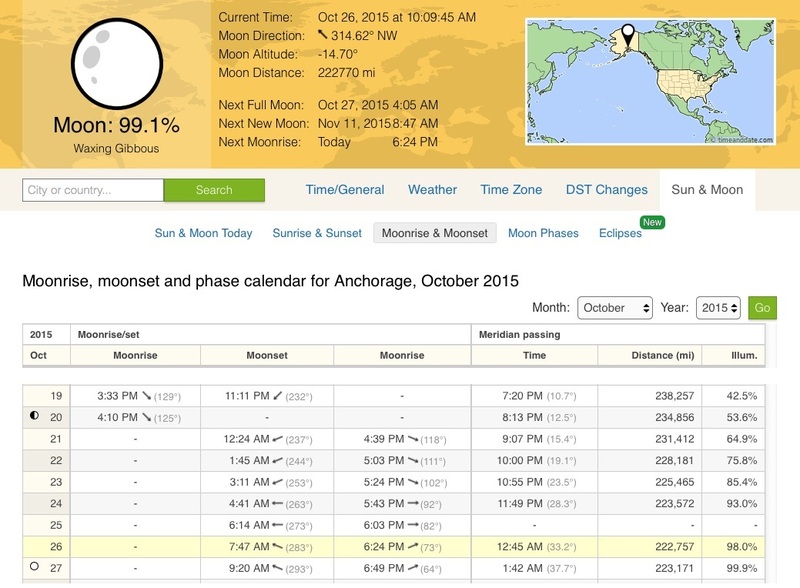 A Moon Watcher in Anchorage, Alaska noted that it slipped below the horizon almost two hours late on October 26, 2015! 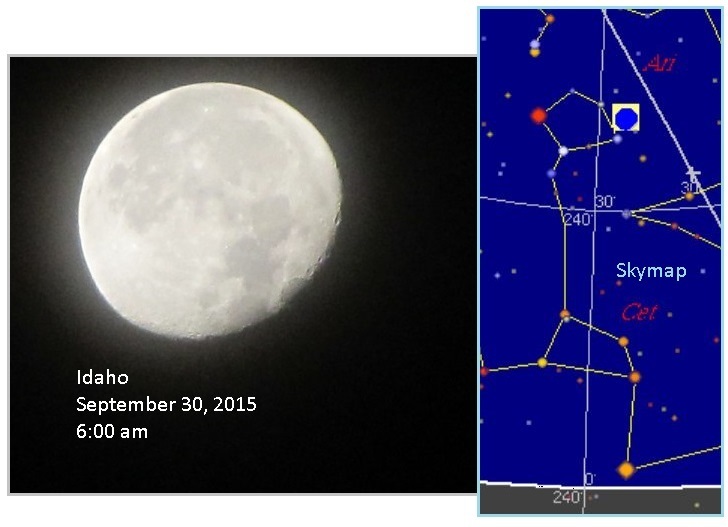 Indeed, Moon charts confirm the expected time, and a capture from the local observatory shows the Moon still visible. The moon set in Anchorage, Alaska much later than the7:47 am time listed. At 9:35, it hadn’t even set yet. I wonder how askew Earth really is! 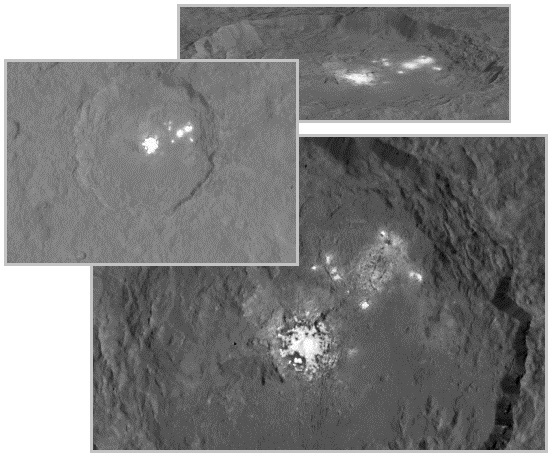 The Ceres Lights were first addressed in this newsletter in March, 2015 in Issue 441 after the odd lights on Ceres were reported in the press. The lights did not appear to be reflections, though that was the likely explanation per the establishment. They were omnipresent, and very bright. Per the Zetas, this was an outpost of Service-to-Self aliens, but the fact that alien life is resident on Ceres will never be admitted by NASA et al. ZetaTalk Insight 2/28/2015: The mystery of the lights on Ceres, which are indeed indicative of an alien space base, will not be resolved, as the public will never be told the truth. As with the Rosetta asteroid radio signals, where the public was only provided air brushed images so the space port was not discernable, the images and evidence provided by the Dawn probe will be altered and withheld. Why then are teasers provided to the public? There is ambivalence about fully admitting the alien presence, and also a desire to brag. Space programs are always under threat of being underfunded, and providing teasers ensures enthusiasm in the public, or so the thinking goes. Then Ceres was back in the press when a pyramid was discovered on its surface. This was detailed in Issue 458 of this newsletter in July, 2015. Per the Zetas, the pyramid is a type of communication tower, sticking up above the surface. 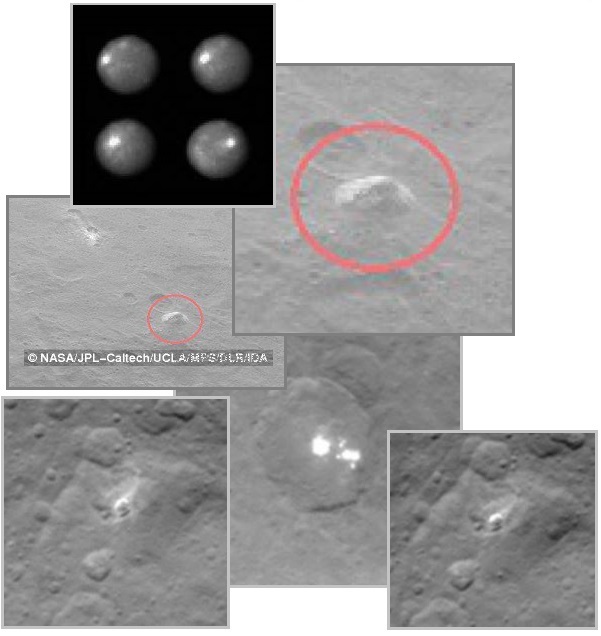 ZetaTalk Insight 6/27/2015: The alien space ports on Ceres are located where there are depressions, so that trash and what might be called space wind do not strike them. But for communications a higher point works best, and that is what this mound is for. It is a communication tower, of sorts. Transmissions can be sent from one Ceres port to another, or be easily caught if sent from outer space. As with the Rosetta comet port, located due to its use of radio signals, these communications may seem primitive for advanced alien technology, but Ceres and Rosetta ports are both serving aliens in the Service-to-Self, and their technology simply does not equal the technology of those in the Service-to-Other. 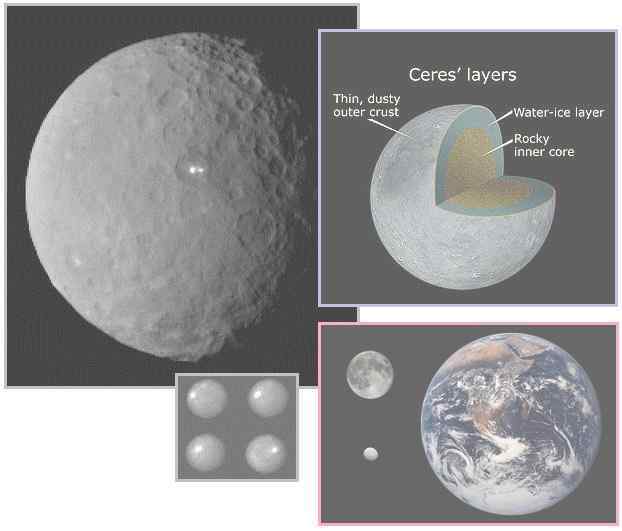 Now once again, Ceres is in the news, this time with more detail, a closer look. The establishment certainly seems to be trying to keep the issue of alien life nearby in the media! This was certainly the case recently when water gushing across the surface of Mars was in the news. After decades of denial, NASA suddenly pronounced that life on Mars was possible! This image taken by NASA's Dawn spacecraft, shows Occator crater on Ceres, home to a collection of intriguing bright spots. The bright spots are much brighter than the rest of Ceres' surface, and tend to appear overexposed in most images. Might Ceres suddenly go on the move and threaten the Earth like the Death Star in Star Wars? It certainly looks the part. As Obewan says, “that’s no moon”! The Death Star is a fictional mobile megastructure and galactic superweapon appearing in the Star Wars science-fiction franchise created by George Lucas. Crewed with an estimated population of 1.7 million military personnel and 400,000 droids, this dwarf planet-sized fortress was designed with extremely powerful power projection capabilities; capable of destroying an entire planet with one blast from its superlaser. But per the Zetas, the rules that govern our part of the Universe, overseen by the powerful Council of Worlds, will not allow an alien invasion or mass landing, despite what is shown in the movies. ZetaTalk Comment 7/15/1995: Regarding mass landings. This will not occur. This rumor has been spread by Service-to-Self groups, periodically, because of the fear and anxiety this engenders in humans. This is by design, as frightened humans are more easily pushed into becoming recruits for the Service-to-Self orientation in that these emotions tend to focus one on the self. There will be no mass landing. None. The Council of Worlds will prevent this, and in fact has prevented this in the past. As such a happenstance is much desired by the Service-to-Self, they have of course pushed endlessly for this. Why has this not occurred to date? Because controls are in place. We will relay that the only circumstances that would allow for a mass landing to occur would be for the majority of the Earth's inhabitants to turn to the Service-to-Self orientation, and by majority we mean that almost 100% would have to be at that point. This high percentage is required, as the Service-to-Self are not given to free will latitudes, being coercive intimidators. ZetaTalk Comment 3/26/2012: The Vedas, and even the Bible document alien life. Yet man did not live in fear of UFOs or encounters, but rather had curiosity. What created fear in the public was the campaign mustered by MJ12, where scare stories were featured in the media, in TV series, and in movies developed for the establishment by a compliant Hollywood. 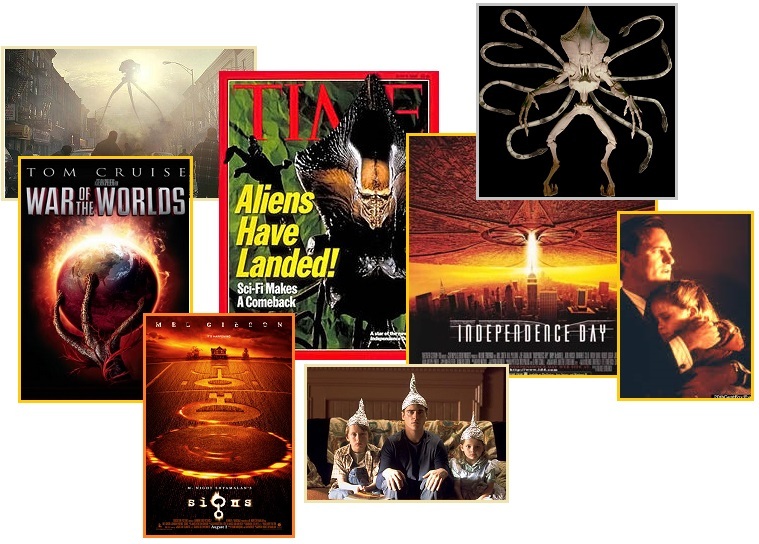 The movie Signs by Mel Gibson, Falling Skies, Independence Day, War of the Worlds – all tell the public that aliens will arrive and try to poison them, enslave them, or eliminate them. None of this is true, and the establishment knows this, yet keeps up the disinformation. What is the purpose of some in the establishment perpetuating the lie that Service-to-Self aliens might mass land? Some report that members of MJ12, in particular those themselves leaning to the Service-to-Self, chose to believe this. This is, after all, what they would do if they had this power. Others felt the public should be warned not to have any contact with aliens, although this smacks of wanting the public to continue to look up to their leaders, and not go off socializing with little green men. Human society should be the property of the human elites, was their thinking. Thus we have movies such as ID4 and Signs and War of the Worlds, which depict alien invasions countered by human intervention. Be afraid, be very afraid, is the message. But if anyone can save you, it will be the establishment in Washington DC. ZetaTalk Comment 4/15/1996: Pseudo-fiction in movies as a tool to speed the Awakening is a tool that can be used to serve those in the Service-to-Self or Service-to-Others orientation. If ET and Close Encounters gave a warm message of friendship, and Star Wars a sense of hope in the battle between the forces of darkness and light, then the movie ID4 is relaying a message of doom. In battles with those in the Service- to-Self, you will be conquered. This is the message. It is not by accident that the conquerors arrived on a traveling red world, reminiscent of the true traveling [Nibiru], which appears red when viewed from a distance due to the iron ore dust in its tail. 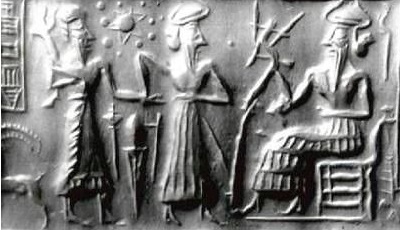 It is not by accident that the inhabitants have desires to conquer the Earth, as the inhabitants of [Nibiru] have a long history of just such activity on Earth, and legends abound regarding this. Graham discovers that the farm is being watched at night, and he and Merrill chase a tall, dark figure from the roof of the barn and into the crops, where it quickly disappears. Meanwhile, crop circles similar to the one in Graham's field appear around the world. Morgan hears strange noises on a baby monitor, but it stops before he can investigate further. That evening, Graham goes to the crop circle, and hears the sound again. After spotting a green leg sticking out of the cornrows, he flees to the house. A news report reveals that strange lights in the sky have been spotted over Mexico City at night. They disappear in the day, but whatever makes the lights are invisible and still there. Humans were unaware that intelligent extraterrestrials were making plans to occupy Earth. Unexplained changes in the weather occur, emitting lightning that strikes multiple times in the middle of an intersection and disrupting all electrical technology in the area. Where multiple lightning strikes have hit the ground a massive three-legged machine, called a Tripod, emerges and uses alien weaponry to incinerate most of the witnesses.